I’ve written five Anzac-related books which explore WWI and WWII from different perspectives. The Dog with Seven Names explores Australian WWII history through the eyes of a small dog. Photographs in the Mud set on the Kokoda Track in 1942, follows two soldiers from opposing armies. 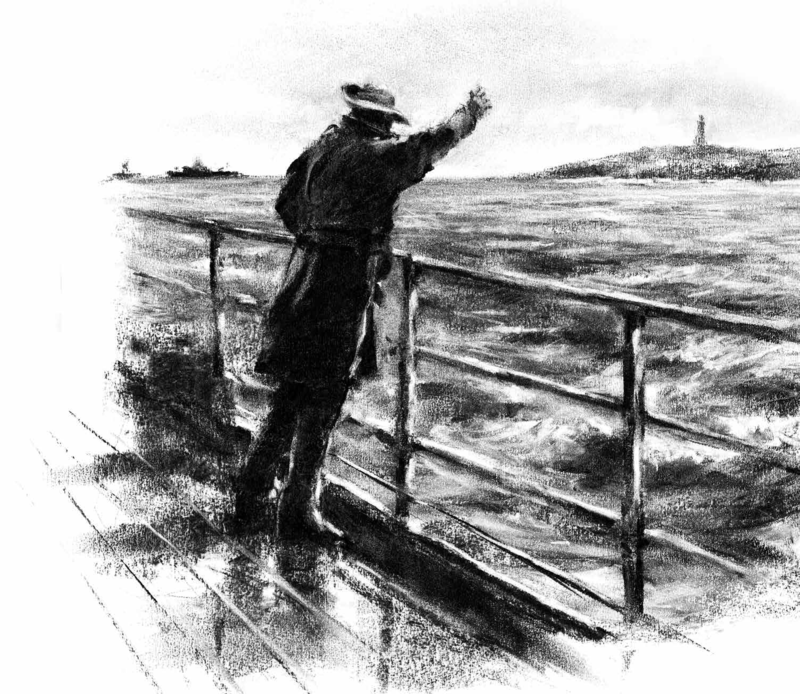 Lighthouse Girl explores the true story of an Albany lighthouse keeper’s daughter as she signals to soldiers departing for WW1 battlefields. Light Horse Boy, about the men and horses who travelled in the 1st AIF convoy from Australia to the Middle East and Gallipoli. In The Lamplight follows Rose’s nursing journey at the 1st Australian Auxiliary Hospital in Harefield, UK from 1914-1919. 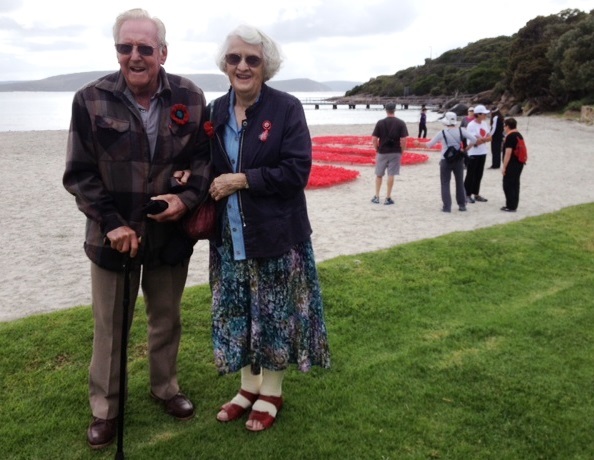 N ovember 1st, 2014 marked 100 years since the first convoy of Australian and New Zealand troops left Albany to join the First World War. Soldiers, nurses and horses sailed from ports across Australia to gather in King George Sound. There were 36 troopships with three escorts. Two ships carrying Western Australian soldiers with the Japanese Ibuki joined the convoy at sea off Fremantle. After four years of research, writing and editing, Lighthouse Girl was published in 2009. By then I’d also become fascinated with other aspects of WW1. I found evocative photographs of the soldiers’ animal mascots. They took a menagerie of creatures, including kangaroos and one poor koala! I also learnt that of the approximately 136,000 horses that left Australia, only one returned. That horse was Sandy, the favourite charger of Major General Bridges. I wanted to write a story linked to him. In 2013, Light Horse Boy, a partner book for Lighthouse Girl was published. 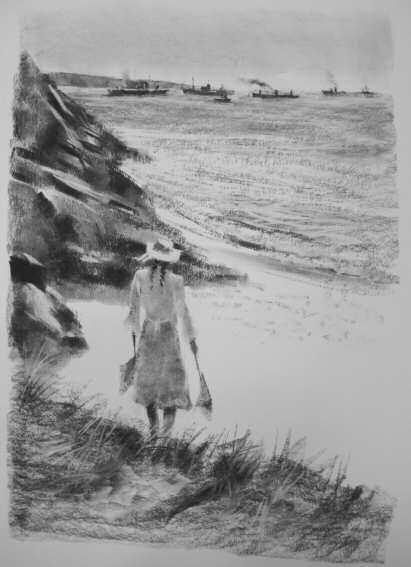 Brian Simmonds stunning charcoal illustrations bring both stories to life alongside dozens of archival photographs and WW1 articles. My research for Light Horse Boy has led to another story. In the Lamplight completes the series from the perspective of Rose; Jim’s fictitious nurse in Light Horse Boy. This book will be released in April 2018. In the Lamplight follows the journey of an English girl living in Harefield (just north of London). Following the outbreak of war, Harefield changes forever when a local manor home becomes an Australian repatriation hospital. Rose and other villagers do all they can to help the wounded soldiers so far from home. And then Rose meets Jim. In the Lamplight explores the vital role of women on the home-front, linking to the suffragette movement, land girls and Spanish Influenza. I don’t come from a military family and am not sure why I have written books with a war setting. Perhaps it’s because war brings out the best and worst in people. For an author, that’s an interesting thing to explore. Photographs in the Mud, my first picture book is set along Papua New Guinea’s Kokoda Track in 1942. The story explores war from the perspectives of two soldiers; one Australian and one Japanese. In 2002 I walked the Kokoda Track with a small group linked to a WW2 veteran. Whilst passing a burnt out stump, I heard the true story of a soldier who hid there after crawling from a ditch where he fell with an enemy soldier. The incident inspired the following scene, the pivotal moment in my story. 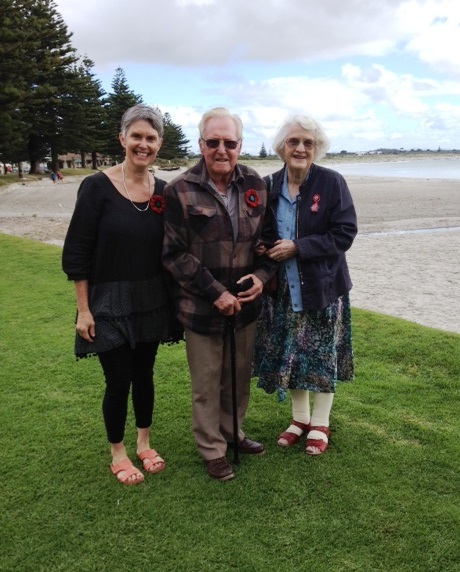 You can read Anzac-related posts on my blog. Albany, where I live, has important links to the Anzac story. 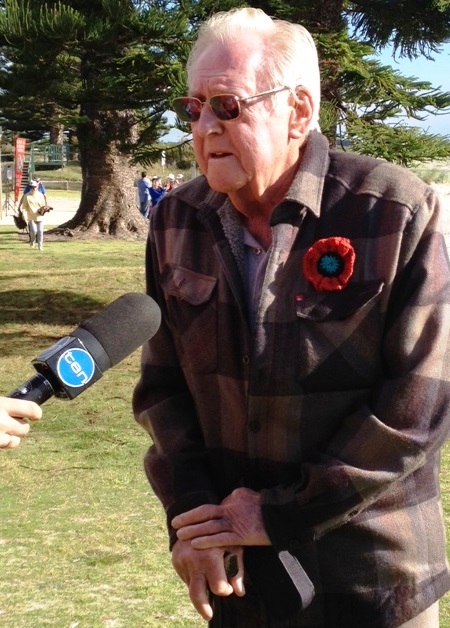 The Anzac Albany website has more information. Don Watson (son of Fay), and I spoke on radio together. Then we visited the poppies.